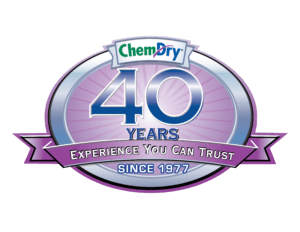 WHY CHOOSE CHEM-DRY OF LAFAYETTE? With Chem-Dry of Lafayette, you’ll have a cleaner, drier and healthier home. Chem-Dry® has become one of the world’s largest furniture and carpet cleaning services. We’ve made this happen through the combination of innovative research and technology and premium equipment and solutions. We are proud to hold ourselves and our cleaning standards to these same traditions the brand has set forward. Our cleaning equipment and solutions use a fraction of the moisture that most traditional steam cleaners use, meaning your carpets dry quicker and there is less chance for mold to grow in your home in Lafayette or the surrounding area. Another advantage is that Chem-Dry of Lafayette’s cleaning solution does not leave any sticky or dirt-attracting residue. Our core cleaning solution, The Natural®, leaves your carpet cleaner and is environmentally friendly and Certified Green by the FDA. The Natural® is non-toxic and safe for kids and pets, ensuring a healthier living environment. Because we were granted The Carpet And Rug Institute Seal of Approval, you can be sure that our results are tested and proven. To receive this honor, our cleaning process met thorough standards in the following areas: soil removal, water recovery, fiber protection and cleaning solution certification. The seal of approval serves as proof of the high-quality cleaning services we provide and guarantees that you are receiving a proven service that works. With Chem-Dry of Lafayette, you will have a drier, cleaner and healthier home. Chem-Dry® has become one of the world’s largest furniture and carpet cleaning services through the combination of innovative research and technology and premium equipment and solutions. We are proud and honored to hold ourselves and our cleaning standards to these same traditions the brand has set forward. Our cleaning equipment and solutions use a fraction of the moisture that most traditional steam cleaners use, meaning your carpets dry quicker and there is less chance for mold to grow. Another advantage is that Chem-Dry of Lafayette’s cleaning solution does not leave any sticky or dirt-attracting residue. Our core cleaning solution, The Natural®, leaves your carpet cleaner, and is environmentally friendly and Certified Green by the FDA. The Natural® is non-toxic and safe for kids and pets, ensuring a healthier living environment.